Engage all your readers with this fun mystery novel! 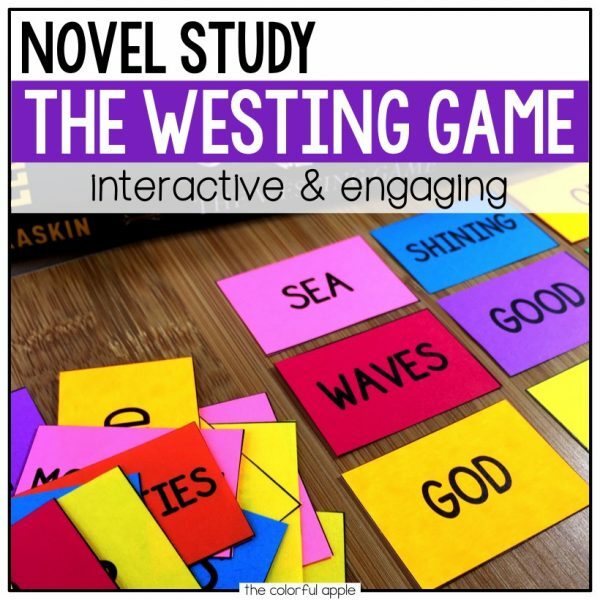 The Westing Game by Ellen Raskin is an intriguing book that all your students will enjoy. 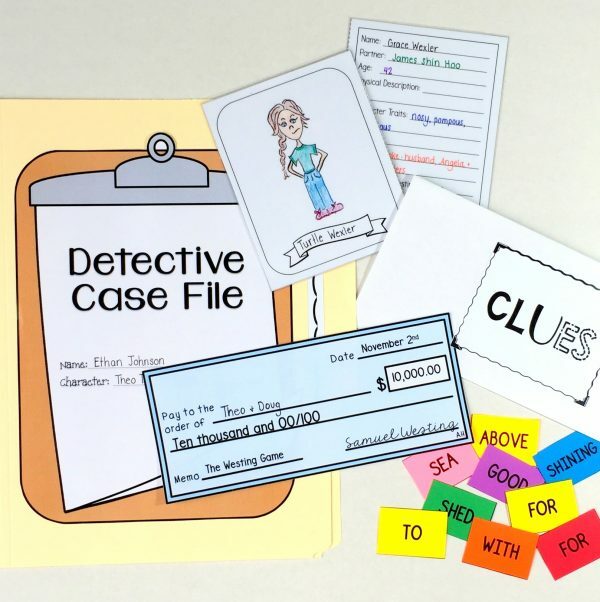 The hands-on activities in this resource are just what you need to keep your students on track while they try to solve the mystery as you read. The Westing Game is a murder mystery like no other. This wonderfully crafted novel by Ellen Raskin is a fascinating read for upper elementary and middle school students! This 170-page unit is jam-packed with everything you need to teach the novel, whether you’re doing it as a whole-class, a small group (i.e. reading groups or literature circles), or as an individual project. It includes many activities that serve as comprehension tools and valuable practice determining different story elements. •Comprehension Questions – multiple questions for every chapter to check student comprehension Answer key included! •Vocabulary – five vocabulary words for each chapter Answer key included! •Student Case File – help students track the information in the novel by turning them into real detectives! •Teaching Reference Pages – extra activities to bring this novel to life in your classroom! Interested in more novel studies? Check them out here!